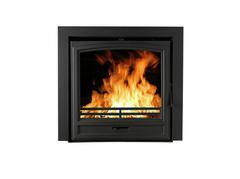 The Titus is an inset wood burning stove similar in design to the Trajan model. 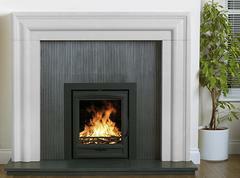 However, it is 100mm (4") wider in size allowing for a larger display area. 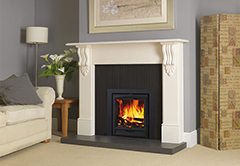 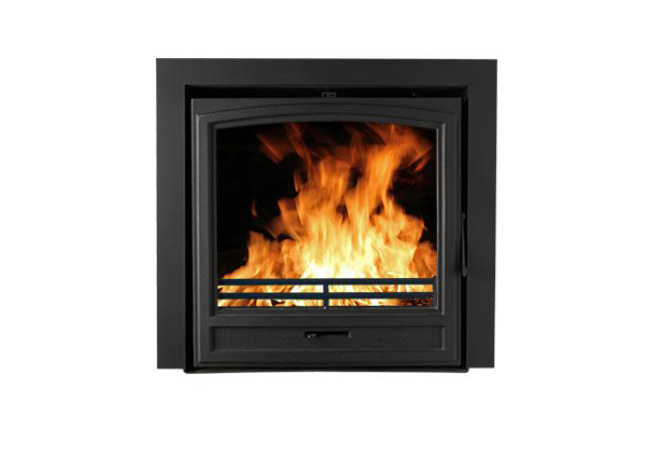 This stove has a 3 sided black trim (as shown) to suit applications where it sits on a hearth, or a 4 sided trim option to allow the stove to be fitted higher up the wall or chimney breast as a hole in the wall effect. 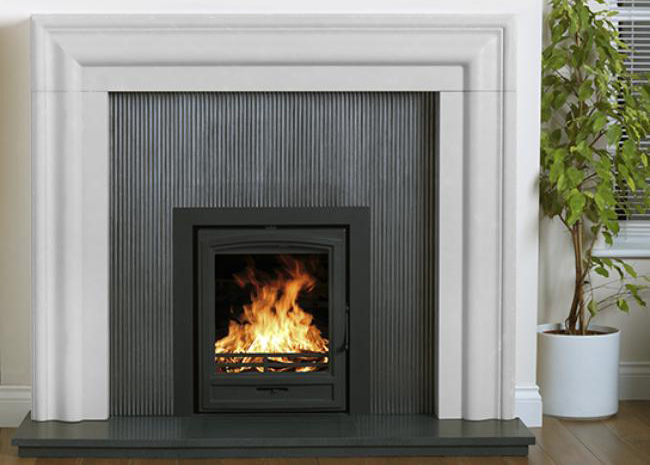 The Titus benefits from a Tertiary Air System (this mixes pre-heated air with exhaust gasses allowing the exhaust gas to re-ignite producing a clear and more efficient stove).